Henn-na Hotel, a hotel chain in Japan that lauded as the first hotel in the world to be staffed largely by robots, made waves back in 2015. 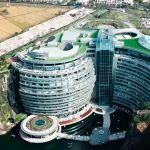 We caught on with the news back in 2017 when it opened the second robot-staffed hotel. Back then, we thought, this is it. 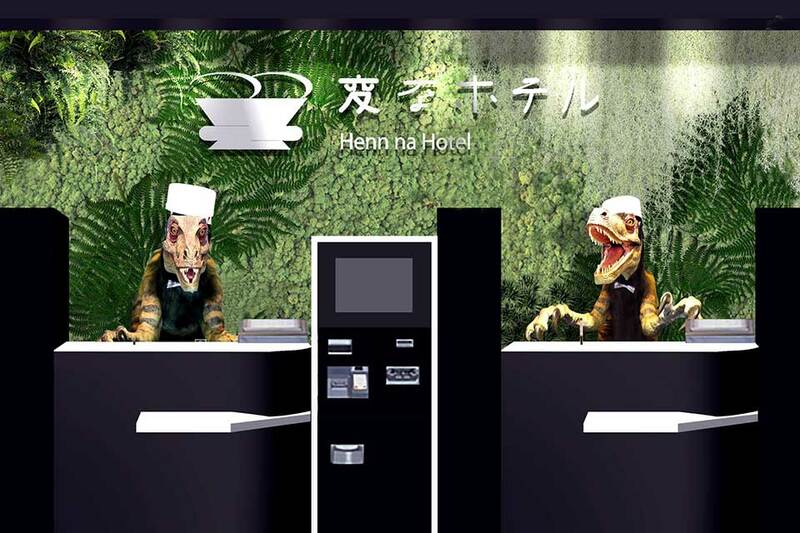 The future is here, but nearly four years on, the robots over at Henn-na Hotel, if they had emotions, they would be feeling rather flabbergasted because, they are being replaced by humans. I guess, that kind of makes it feels like a human apocalypse for the robots, eh? 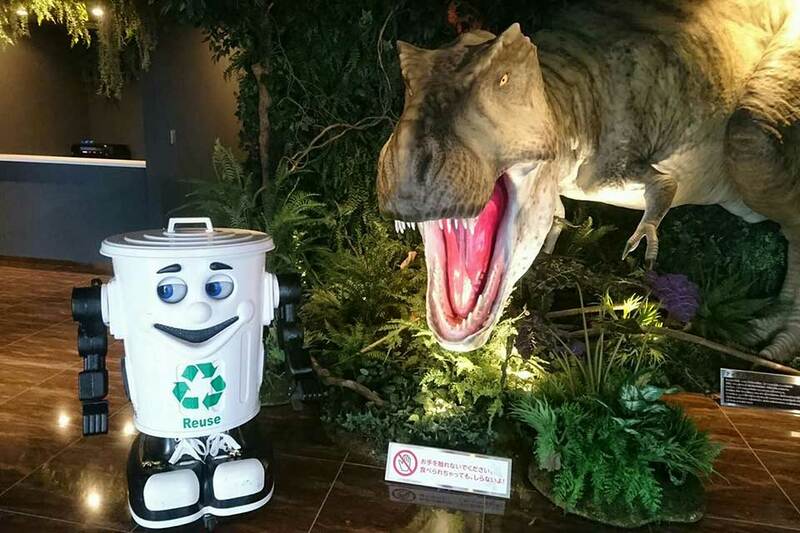 Anyways, the story went that the hotel is ditching robots because, they broke down often, making them costly to maintain and worst, apparently, they managed to annoy guests too. In short, robots are still short of the skill sets to replace humans in the service industry. 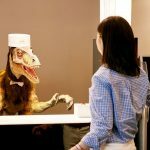 The hotel made news when it boasted as the first robot-staffed hotel with robots manning the front-desk, serving duties as cleaners, porters and as in-room assistants known as “Churi.” Even as the company is replacing robots with humans, the hotel maintains that it has not given up in robotizing the hotel. 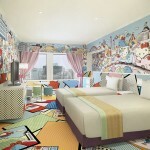 It expresses that it is continuing to develop new generation robots, with plans to open new hotels across Japan. Until then, humans will be filling in those positions. 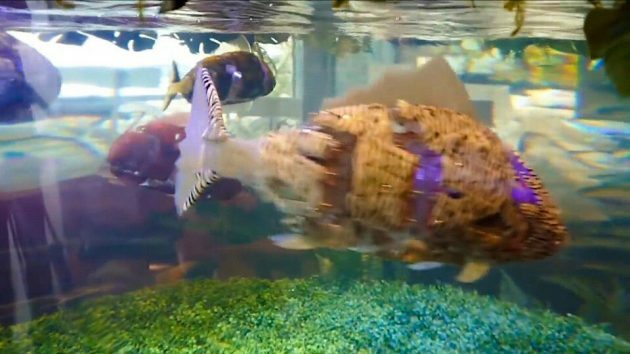 No words if the hotel’s robotic fishes will be replaced, though. Probably not, I think. 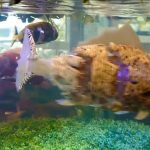 They (the robotic fishes) virtually has no interaction with guests and therefore, they have no service to talk about, much less annoy anyone. But why the “firing” of robots? 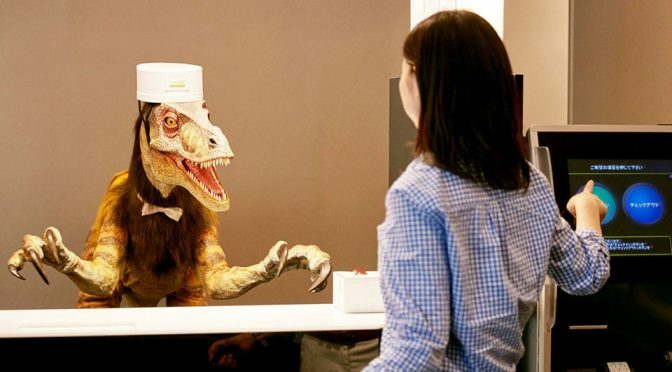 Well, as it turns out, dinosaur and humanoid robots over at the front desk were not capable of responding to guests’ queries with regards to local attractions, or direction to airport. That’s not to mention that humans have to present to register the guest’s passport which, apparently, robots can do yet. 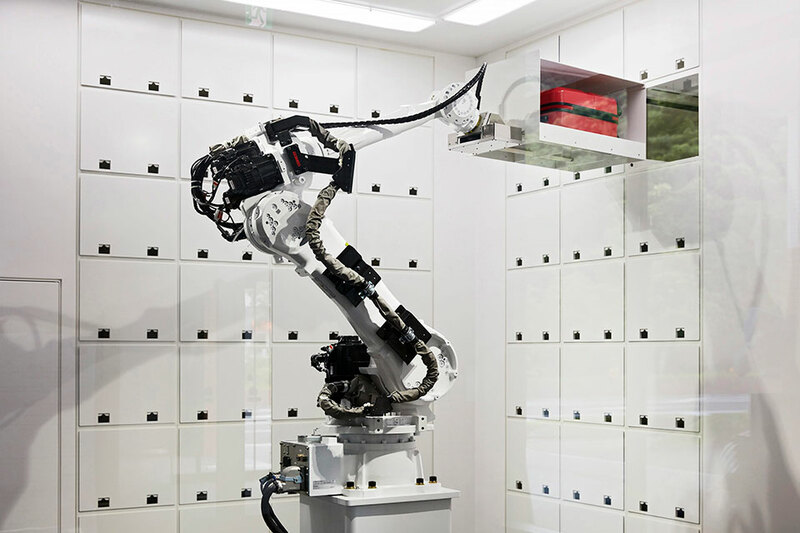 Robot porters had their fair share of issues too, such as the inability to reach all of the rooms in some hotels and they can break down if water gets to them. Churi wasn’t spared from embarrassment either. Churi’s problem with understanding accents was one thing, annoying guests was another. It turns out that a guest was repeatedly roused from his sleep at night by Churi because, Churi mistaken his snoring as a command and not being able to understand, it keep asking the guest to repeat his request. Now, that is a true laugh out loud moment! So, yeah, for that Churi had to go too. I guess this is it for robots’ career in the hotel industry for now. Wait, is that why Skynet has such a hatred for humans? Like, you know, how we looked down on their abilities now?